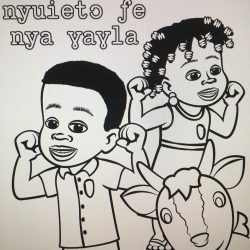 View cart “Hygiene / Anti-parasite Coloring Book Chichewa” has been added to your cart. 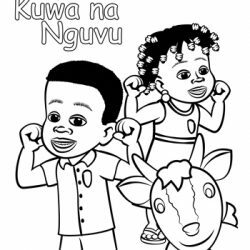 Janbatis and Jozyann feel sick and follow several steps to make them well so they can play. 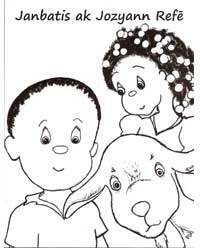 As the children in Haiti read and color this book they will learn what they need to do to stay healthy too. 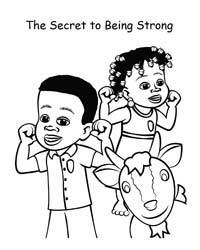 For those children who are learning English or just want to sing and dance, download free “The Secret to Being Strong,” composed by international jazz musician, Drew Davidsen, to further inspire them to remember the hygiene practices taught in the book! Janbatis ak Jozyann Refe is a wonderful companion for an anti-parasite mission. Many have used this to teach children before or after medication is dispensed. It’s also been used for the broader-based teaching of basic hygiene skills with any kind of mission. 12 pages, black & white.